Who has heard of the author Shauna Neiquest? A phenomenal author with a focus on the real, in touch with the joy and the pain that we mingle with each day of the year, Shauna’s writing came into my life right after I graduated college. A friend of mine gave me her book “Cold Tangerines – Celebrating the Extraordinary nature of Everyday Life” and I could not set it down. I think I read the whole thing in two hours. I never read her second book, “Bittersweet”, but am drawn to her famous quote, “When life is sweet, say thank you and celebrate. And when life is bitter, say thank you and grow.” I found myself tip toeing in between sweet and bitter this week. The sweet and beautiful involved the celebration that one of my friends from high school had her baby. She is a beautiful little girl that I can’t wait to meet. It is amazing to stop and ponder the potential that we all have the capability of creating human beings. It is awe inspiring to know that little beings enter the world in every second of every day. We get to participate in the loving and nurturing that comes with the responsibility of taking care of one another. 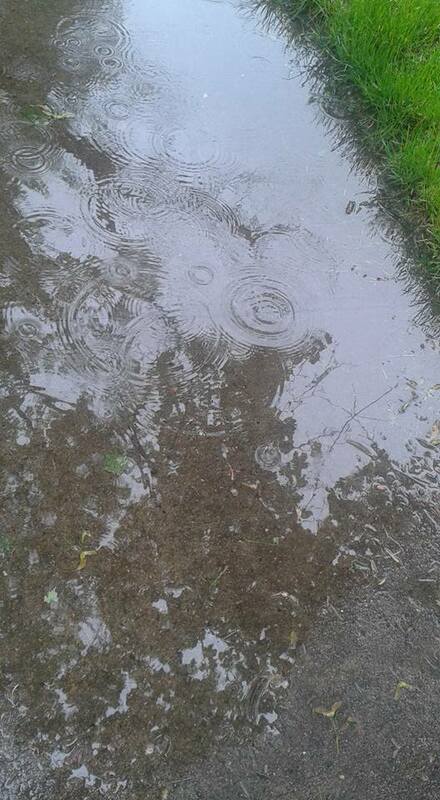 The rain has continued this last week, and the clouds and the gray continued to taunt my fellow Coloradoan’s as we crave our depleted Vitamin D. This week, while standing in line for our coffee, I had a co-worker show me a picture she took of the ripples in a puddle. I quietly stared at the photo, and felt blessed to be able to witness the simple beauty in a ring of water moving out in connection to other elements touching the surface of rough pavement. This image reminded me that our energies, our enthusiasms, our excitements, our sadness – they all impact one another if only you stop and look around. Trite, perhaps, to use the metaphor of a ripple of water, but this felt like a reclaiming of sorts. A mental mastery of the weather which I cannot control. I’m saying thank you and growing this season of my life. I also wish I had words I could encourage you with. It is so hard to lose a loved one.